Market-share standpoint is the most crucial standpoint of any game engine as the continued existence of Engine will depend on money unless it is open source. Even Source Engine has better credibility due to atleast 10 AAA games made on it by valve and other devs, even if it supports Windows and XBox only but it shows it can do and is useful. CryEngine has just stormed the PC since days of Half-Life 2 and FarCry (at that time Epic had only UT2004 technology which was way behind). But due to great luck and buisness sense they were able to make their not so optimised UE3 available just at the time everybody needed one Engine for PC/XBox360/PS3, and released Gears of War which actually attracted attention. 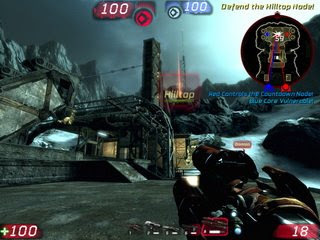 A good game always attracts attention to engine just as HL2 and FarCry did, but UE3 was the only PC/XBox360/PS3 technology available, UE2 was largely familiar and respected technology in game industry, due to late release of Doom3, and not cross platform source engine(still it was begining to licensed seriously those days). FarCry was on PC and XBox and very new at that time. Human beings love familiar things. Thus UE3 just put every body behind. They can again do it with UE4 if they can predict and make available the right PC/NextGen console technolgy at right time(arounf 2012 as many think), whereas CryTek is also doing same thing. 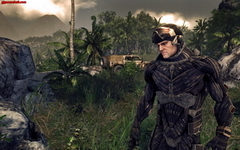 UE4 may again win as loads of developers are familiar with UE3 toolset, but if they look seriously at quality of CryEngine4 and if it is available at that time, CryEngine will 100% take over UE4 as it is just the best and onle look at Crysis tells that. Id is ready with idTech5 which still does static lighting and need loads of hard drive space due to megatextures, is not popular and used by id and there partners only. They always timed release of their engines wrong. Even Betheseda teams(their owners/partners use Gamebryo for internal development) IMHO Oblivion still looks great and is available on PC and both consoles. NextGen is definetly UE4 60% and CryEngine 40% unles someone else comes or id does something amazing at right time(Jhon Carmack is secretly working on idTech6 for some time which will use Intel’s Larrabee, which may or maynot be awesome, he himself is doubtful). As far as I have seen developers just need something easy and good enough for PC and Consoles at right time, and gamers just notice sharp textures and good lighting(HL2, Oblivion, Crysis) and care far more about game play(Assasin Creed for ex. which uses internal engine). That is also why Uncharted 2 is just plain awesome even if it is just PS3 tech.